Crowned Best Trail Bike of 2019 by Enduro Mountain Bike Magazine (click here for review). The love child of a Ripley and the Mojo HD4, the all-new Ibis Ripmo is a big wheeled slasher that's always down for another lap, whether that means a big climb or a tailgate pad. Think of it as a mashup of the Ripley's balance and speed, coupled with the Mojo HD4's capabilities when things get hairy. With a sub six pound frame and 145mm of efficient dw-link rear wheel travel (160mm front), this is the most versatile bike Ibis has ever built. It also marks a dramatic shift in geometry. 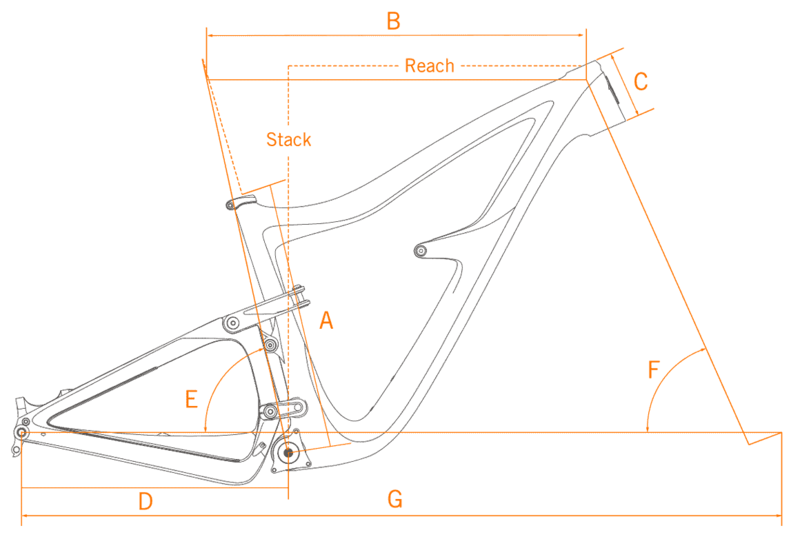 The reach is nearly an inch longer than the EWS Team winning HD4, with clearance for a 175mm dropper, and a pedal-friendly 76° seat tube angle. The end result is a bike that's ready to rally, while still maintaining lively handling. Ticking off the boxes, other features include 2.6" tire clearance, short chainstays, a threaded BB, trick internal cable routing and the ability to run both a piggyback reservoir shock and large water bottle. Sunset Cycles offers the Ibis Ripmo GX Eagle enduro mountain bike in Tangerine Sky with up to 48 months 0% finance and free delivery.